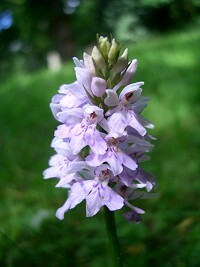 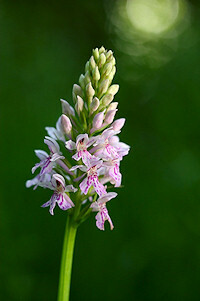 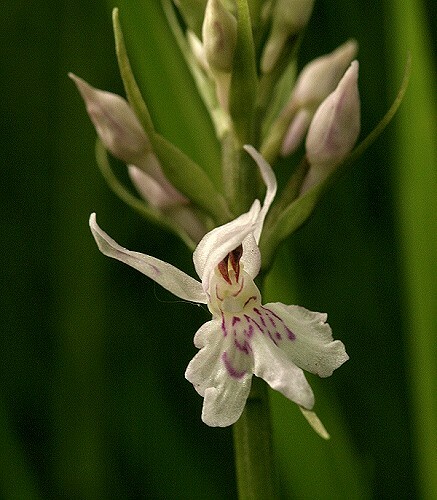 The common spotted orchid has lots of small pink flowers growing in a dense spike. Each flower is approx 15 mm diameter with a typical orchid shape marked with purple spots. 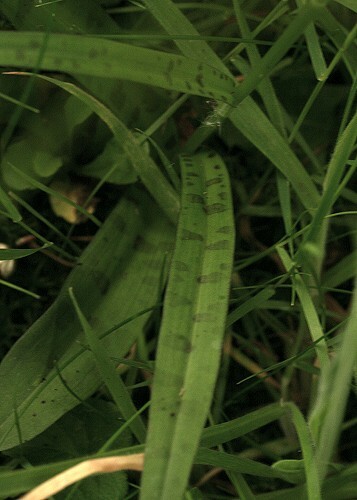 The leaves are broad and marked with wide purple spots. It is usually found in marshes, meadows and other grassy places.